In a relatively short period of time we have already built an impressive reputation in Chigwell for the professionalism of our staff and the quality of our work. From house extensions and septic tanks, to groundwork and digger hire, there is no need to look any further afield. 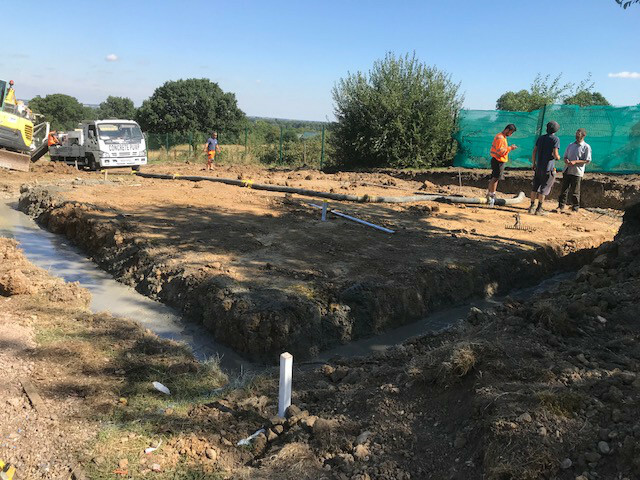 With a range of services from groundwork to construction and digger hire, it’s little wonder we are a name to be trusted by our Chigwell clients. The following are just a few of our more popular services. Groundwork largely involves prepared a site for further development. This can include drainage, tree stump removal, moving of topsoil, and the levelling of the ground. With over 50 years of experience in the field, you cannot choose a better company to do the job for you. At M J Groundwork Services we have built house extensions for hundreds of our satisfied customers. From conservatories to swimming pools, we have the knowledge and experience to perform an expert job. We have a broad range of digger and mini-digger hire vehicles from some of the world’s most notable companies available for our clients who wish to perform their own groundwork. With one of our trained professionals to operate it, the safety of you and your team is assured. If your property is not connected to the main sewage network, a septic tank is a necessity, but you must ensure that they are installed by a fully qualified and trained professional, as there is a serious risk of injury or contamination if they are not adequately fitted. We offer more than just digger and mini-digger hire, house extensions, and septic tanks. Our other services include such things as drainage, driveways, tree stump removal, patios, ponds, swimming pools, horse riding ménage, landscaping, fencing, demolition, and retaining walls, among others. From our offices in Sawbridgeworth we cover large areas of Essex, including most of Hertford and Essex. This includes our valued customers in Theydon Bois, Romford, Brentwood, Epping and, of course, Chigwell. Operating since 2014, we have been providing our customers in Chigwell with the finest in groundwork solutions. Additionally, we have an experienced team of construction veterans, who bring over half a century of experience in the groundwork and building trades with them to every project. 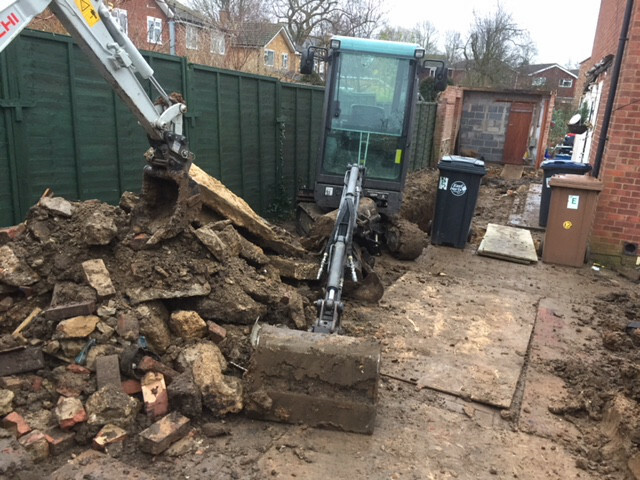 Whatever your groundwork requirements are, be they mini-digger hire, house extensions, or septic tanks M J Groundwork Services can help you out. Call us today on 07885 577 899, for a free quote.